In this playful You Can Count on Zoo-phonics Math Package, you will find many different math, color, and shape products with which to teach. This directly integrates with the Zoo-phonics Alphabet and lessons. 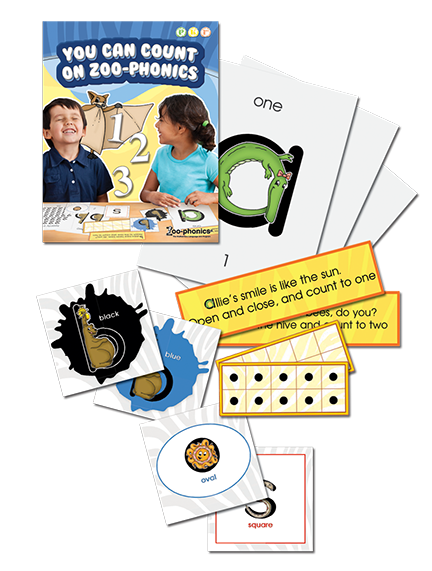 This package is ideal for bulletin boards and math play. These materials are appropriate for the following age groups: Toddlers, Preschool, TK, K, 1st Grade, ELL, and SPED.